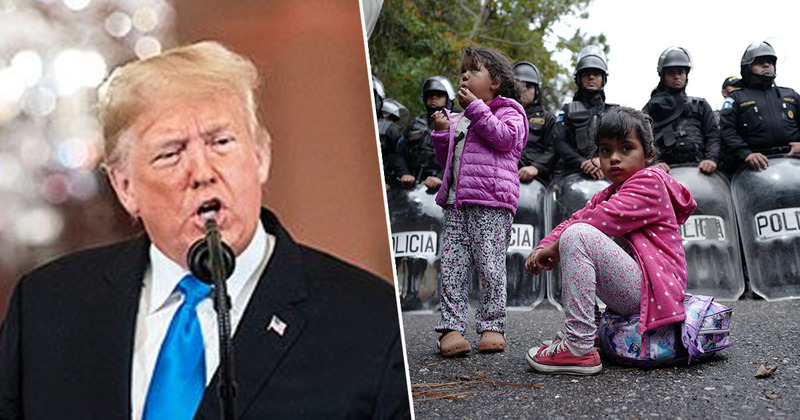 The US will cut financial aid to the so-called Northern Triangle countries of El Salvador, Guatemala and Honduras, a day after President Trump criticised the countries for sending migrants north. This isn’t the first time the president has made the claim, but it looks like it may happen as the countries have become the primary source of migrants to the US. We are carrying out the president’s direction and ending FY [fiscal year] 2017 and FY 2018 foreign assistance programs for the Northern Triangle. The department declined to provide further details or clarify the time period involved, saying it would ‘engage Congress in the process’, in an apparent acknowledgment it would require lawmakers’ approval. I’ve ended payments to Guatemala, to Honduras, and to El Salvador. No money goes there anymore. We’re not paying them anymore because they haven’t done a thing for us. New Jersey senator Bob Menendez, the top Democrat on the Senate foreign relations committee, criticised a ‘reckless announcment’, and urged for both Democrats and Republicans to reject it. US foreign assistance is not charity; it advances our strategic interests and funds initiatives that protect American citizens. The move has been called ‘counter productive’ by Congressional Democrats on a visit to El Salvador, who say the decision will only increase the flow of migrants. 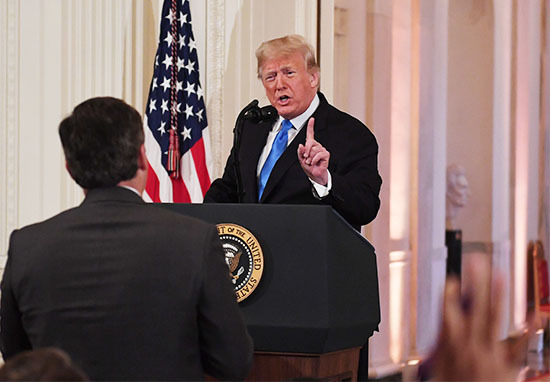 President Trump repeated his claim on Saturday to close the border next week if Mexico does not stop migrants, a move that could reportedly disrupt millions of legal border crossings and billions of dollars in trade. The effort to increase the number of asylum seekers returned to Mexico has already been ramped up. Hundreds of officers who usually screen cargo and vehicles at ports of entry at the border have been reassigned. Homeland security secretary Kirstjen Nielsen has asked for volunteers from non-immigration services as well as sending a letter to Congress requesting resources and broader authority to bolster the department and help deport families faster. The policy was announced in late January and there is a backlog of over 700,000 cases. Currently around 60 people a day are returned to Mexico, and officials hope to increase that number to 300 by the end of the week. Guatemala and Honduras have replaced Mexico as the top countries of origin for US-bound asylum seekers. Migrants from Central America cannot be returned as easily as those from Mexico. President Andres Manuel Lopez Obrador said Mexico would do everything it could to maintain a ‘very respectful relationship’. Democrats are concerned the administration wants to revive ‘horrific’ and ‘immoral’ plans, saying the hardline border policies have created ‘senseless heartbreak and horror’. Democrats reject any effort to let the administration deport little children, and we reject all anti-immigrant and anti-family attacks from this president.